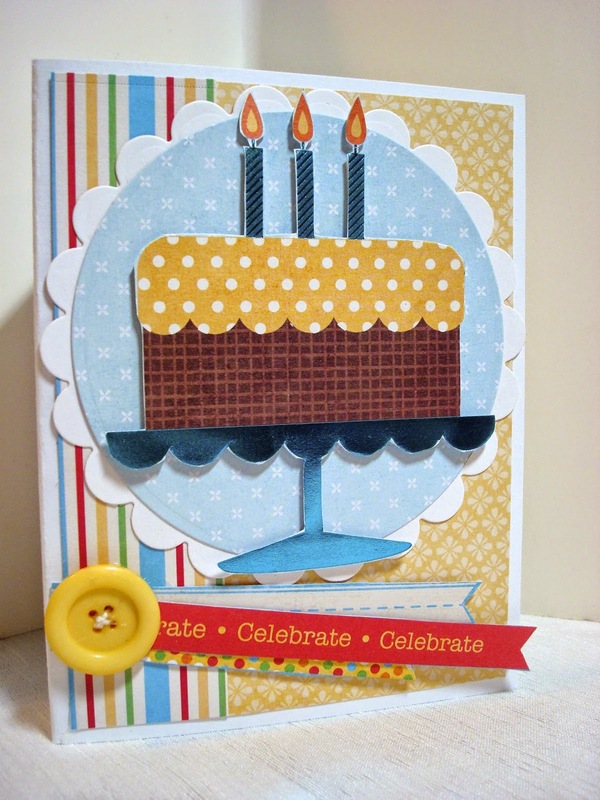 Amy's Creative Pursuits: Celebrate! With Cake! Hello! Did everyone have a great Labor Day yesterday? I think everyone went shopping on Labor Day because my store was very, very busy. I guess no one goes on a picnic to celebrate the holiday anymore. Today I have a birthday card to show you. 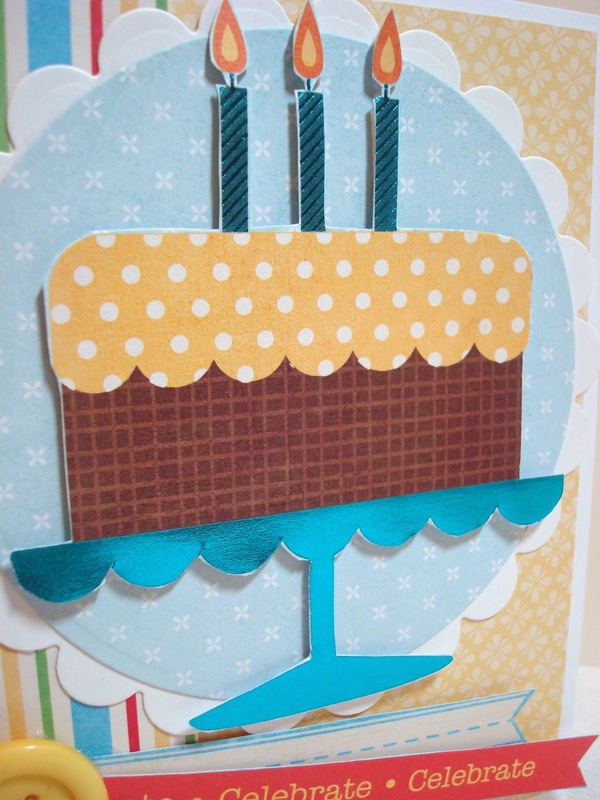 I kept seeing these fun cards made with a big birthday cake die cut by MFT, and I thought, "Gees, I could do something similar but with designer paper!" I had a DCWV 'Birthday Matstack' that had several sheets of designer paper with large birthday cake images on them. They were originally made for a 12 x 12 scrapbook page, but I thought if I just cut the birthday cake image out, I could make a card. So I did! I mounted the cake image up on dimensionals, and just layered other fun coordinating sheets of designer paper behind it. I used Spellbinder's Nestabilities to make the circles behind the cake. My banner sentiments were also parts of the same designer paper that I just cut out and glued one end of each to the card. A button finished off the fun creation. I just love all the different papers, colors, and patterns in this card. Yet, it doesn't look crazy because the colors for the most part are soft and they all coordinate with each other. Oh festive card ! love it ! !